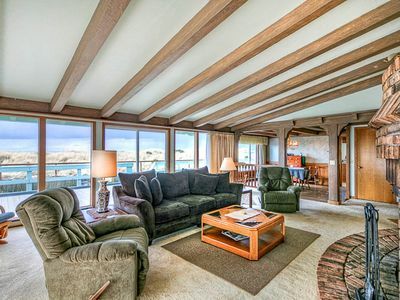 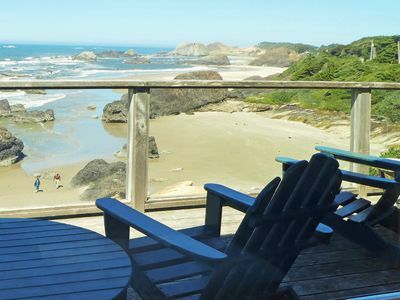 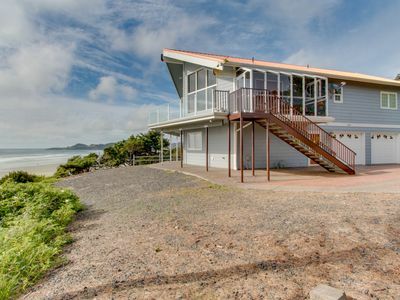 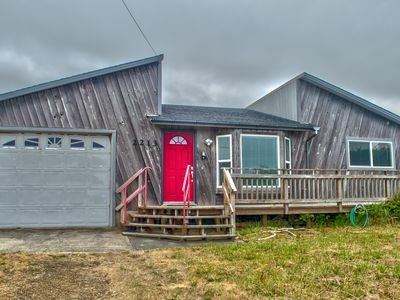 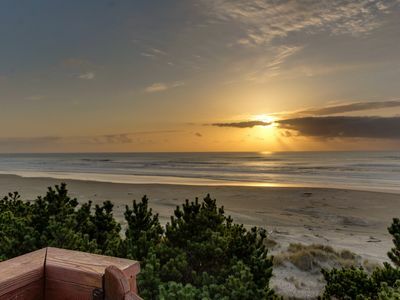 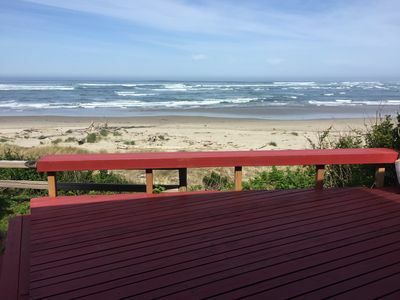 This rustic, ocean front home north of Seal Rock provides an incredible location in a quiet neighborhood and near the beach. 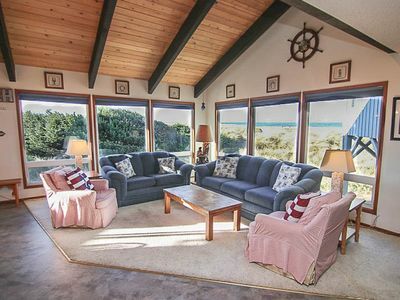 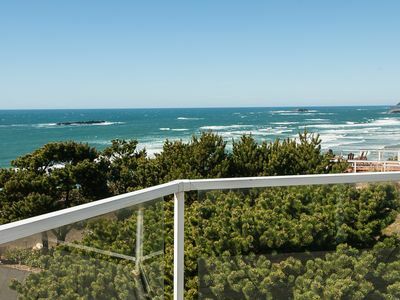 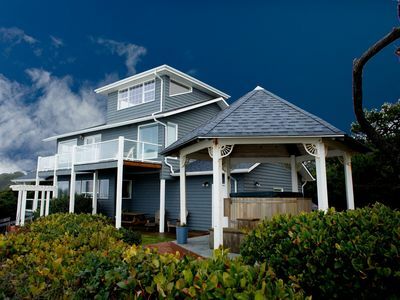 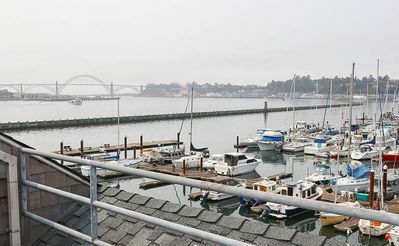 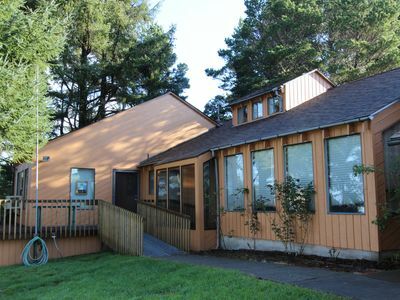 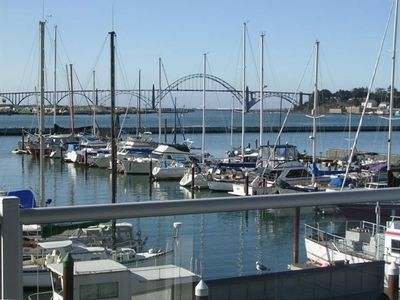 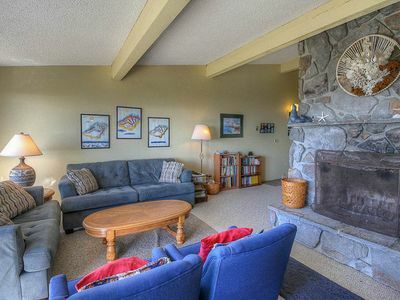 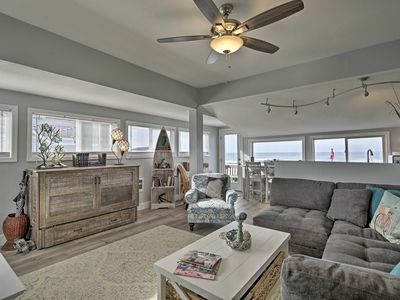 You will be dreaming about this three bedrooms, 2 bathrooms and its wonderful ocean views from the outside in. 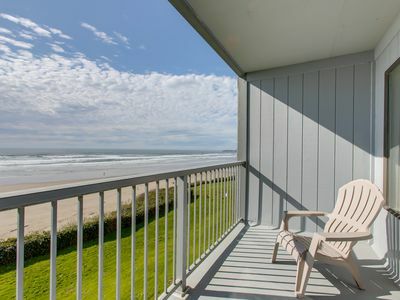 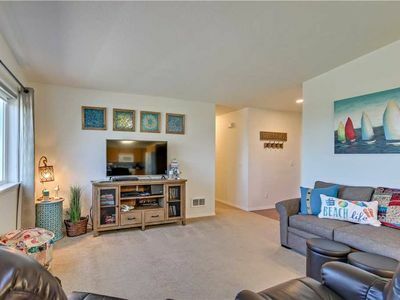 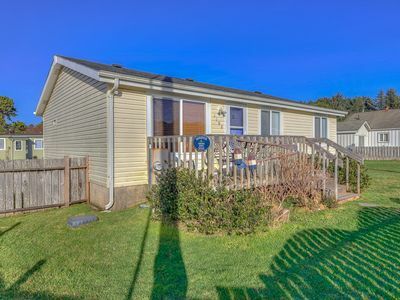 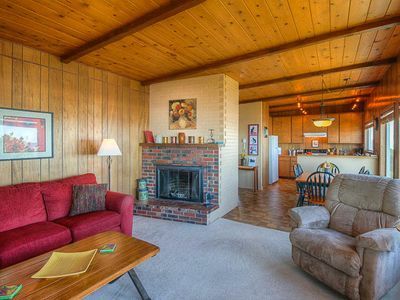 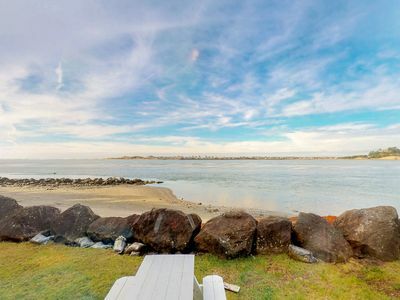 With beach access only 2 blocks away, you will fall in love with Sandalwood! 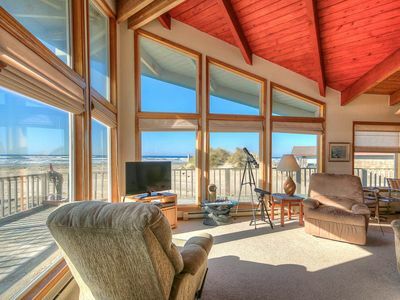 Oceanfront Home with Walls of Windows to Enjoy Amazing Ocean Views! 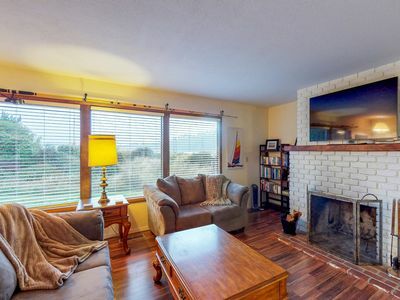 Large Home Featuring Great Fireplace With Ping Pong Table and Pet Friendly!